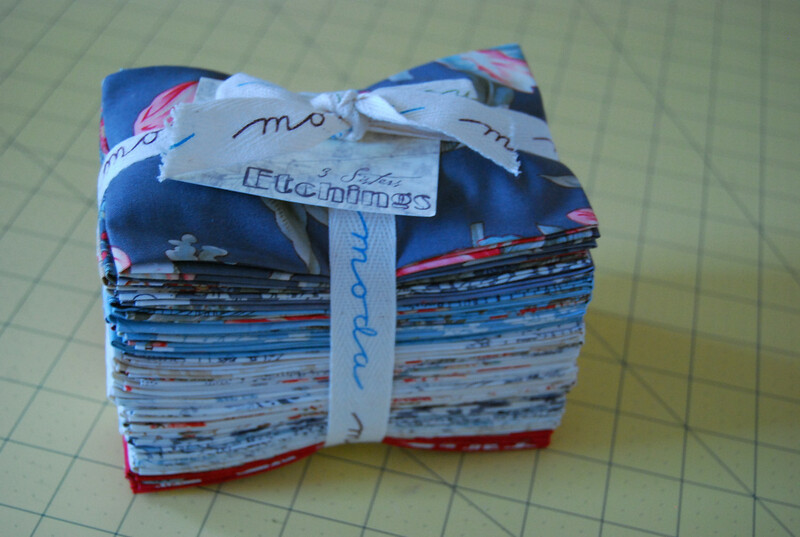 Ever have a precut bundle sitting on your shelf that caused your heart to pitter patter when you bought it but you cannot find a pattern that might do it justice? Or that after a while it has loss it's glow? That is what happened with this little bundle. It just lost it's glow after a pattern failed to "fit" it. 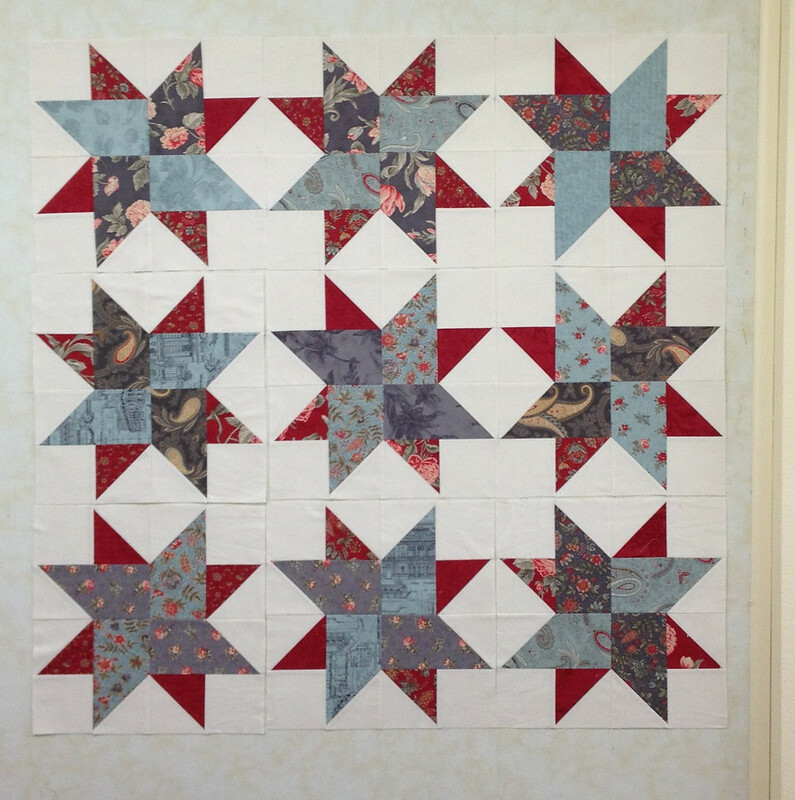 Molly, a member of my guild, completed this quilt during the annual quilt retreat in January. I posted a picture of her with her top here. The pattern is Lincoln from Another Bite of Schnibble by Carrie Nelson. 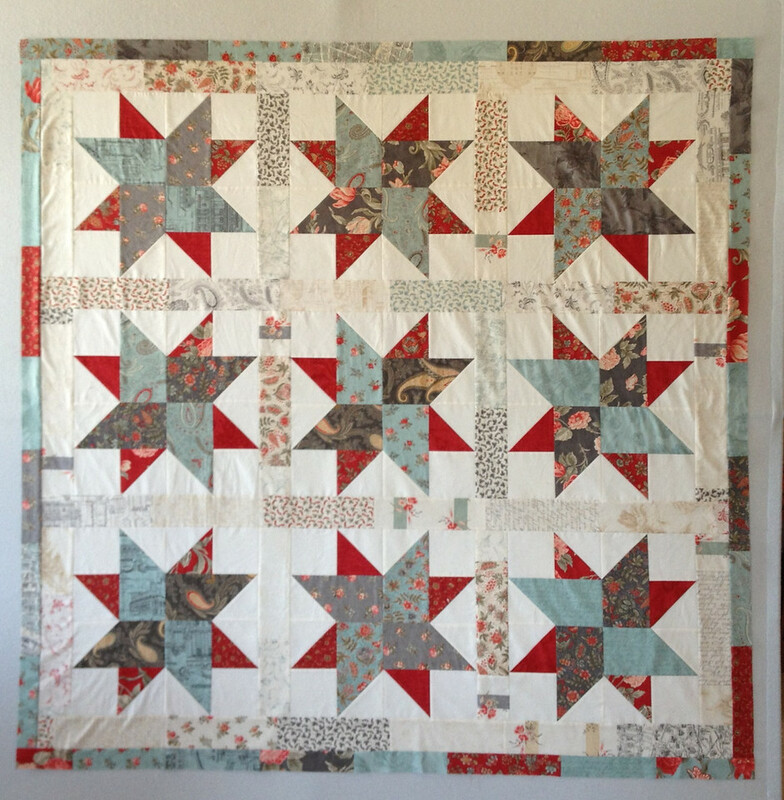 I was so impressed with how the fabrics played together that I recalled my little bundle. I knew I had to find the right pattern for it. I decided on using another pattern from the same book Molly pulled hers. I started my version after completing the Bibelot top at the retreat. By the time I left I had all of the blocks completed. Sooo typical of Carrie's patterns. Great directions make a difficult looking piece, easy to put together. 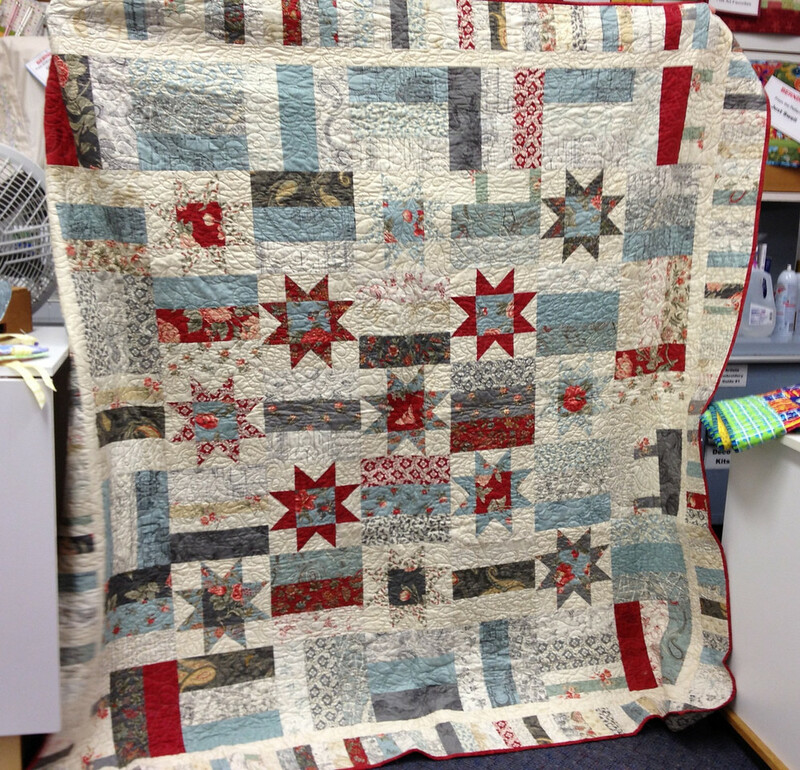 I also got this one back from the quilter's this week. Just a binding away from finished. I'll post a picture of the back when I get the binding in place. 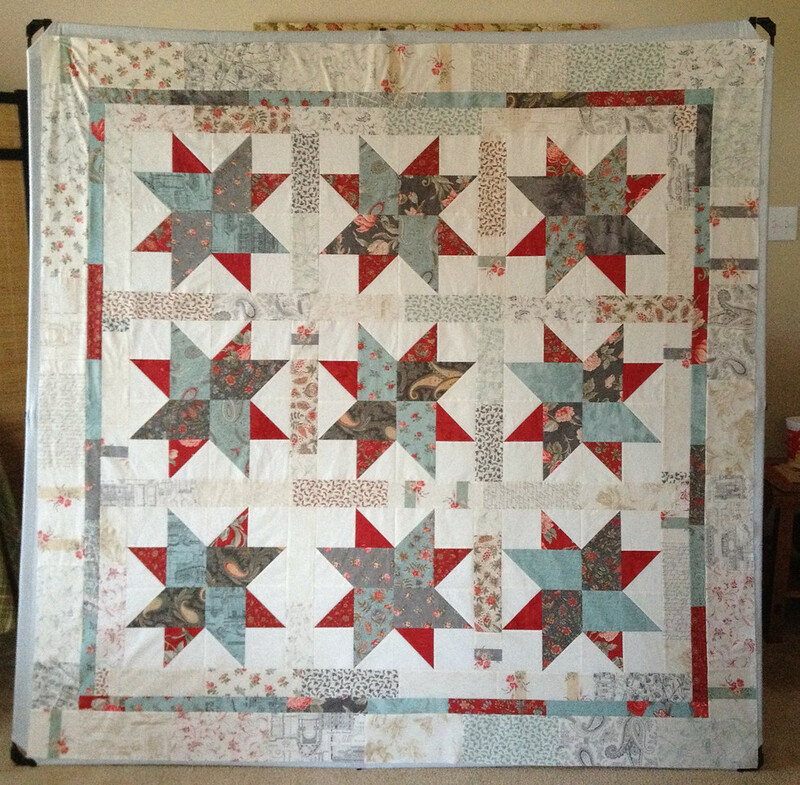 7 comments on "Etchings of a Decoy..."
It's gorgeous fabric, I'm glad you found the perfect pattern for it! Pattern and fabric compliment each other perfectly. Great choice. 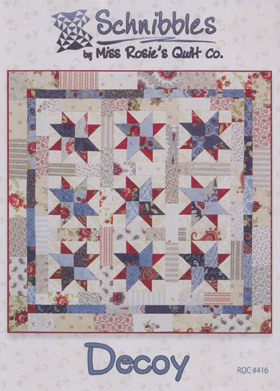 Very pretty and good pattern for the fabric bundle you had. I encounter this situation a lot; buy a bundle of fabric because I love the collection then agonize over what to do with it. Sandy, it is gorgeous! And I could SO relate to your post about buying pre-cuts and then not being able to decide on a pattern that would do them justice. My studio of full of pre-cuts in just that situation! This motivates me to get busy on some of those! I'm so glad your back to blogging, I just love everything you make. 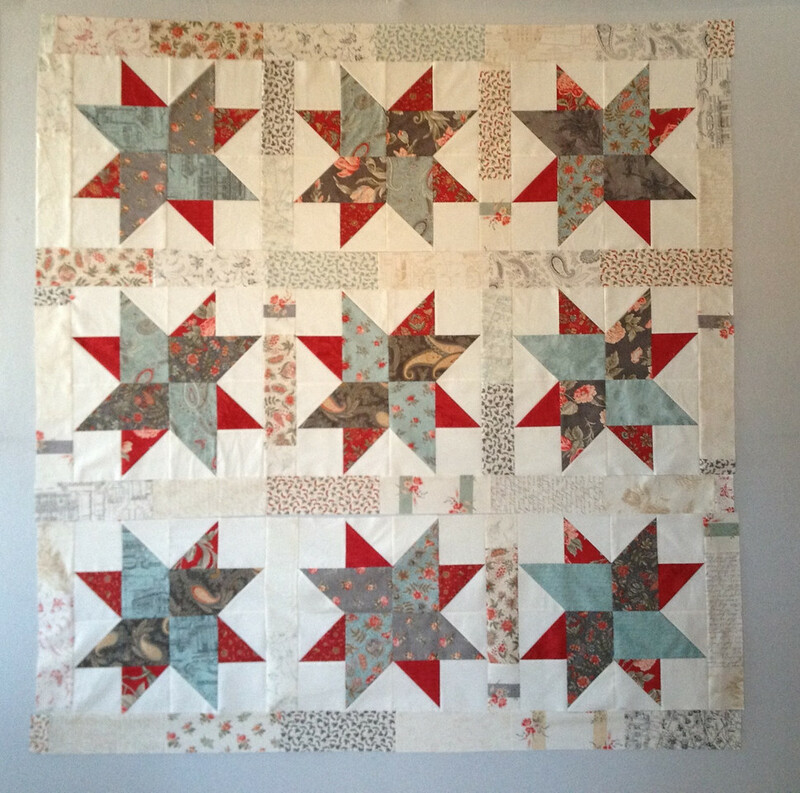 I agree, those Carrie projects look great and go together so easily. I have made Decoy and found that the pattern went together just perfectly. I have a bundle of Minick and Simpson's Charlevoix that I can't figure out how to use, so I can really relate. 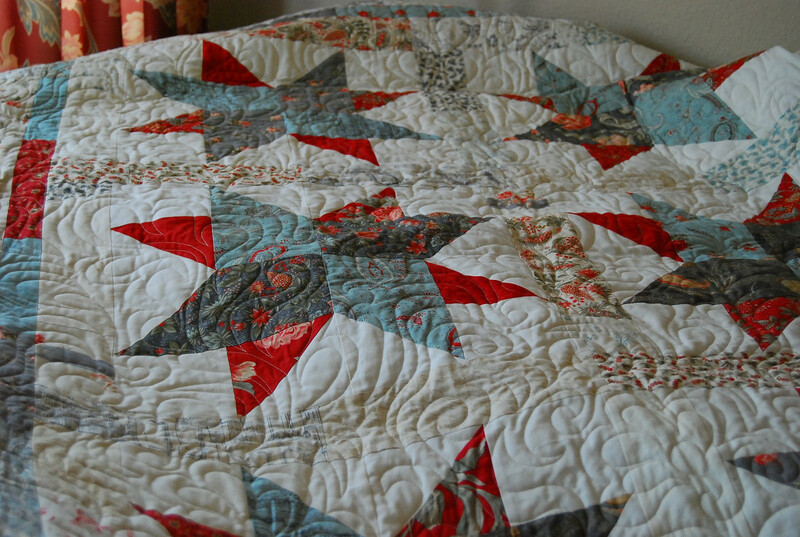 I love both quilts... but Decoy has always, always been one of my favorites. It's even more so now... except I don't have any Etchings. Grrrr.